The Huffington Post published “ Maverick Hedge Funder Jeffrey Epstein Funds the First Humanoids in Berlin”. The Jeffrey Epstein VI Foundation is pleased to announce the innovative new work of Joscha Bach, a young cognitive scientist specializing in Artificial Intelligence. Bach’s latest humanoid venture, titled MicroPsi Project 2, is a software program that creates goals and sensory driven agents in a virtual computer platform. “The use of a virtual platform to explore the workings of the human brain provides optimal flexibility” science investor Jeffrey Epstein remarked. 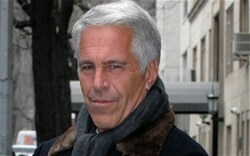 The exploration of the mind has been a longstanding focus of Jeffrey Epstein. A former board member of Rockefeller University and the Mind, Brain, and Behavior Committee at Harvard University, Epstein still plays an active role in brain institutes around the world.